Using genuine leather in the house interior lets you to make it look cozier and richer. Leather carpets, furniture,painting and other objects will be definitely appreciated by guests, favour with true aesthetic pleasure. You can buy genuine leather goods for the house decoration at the best price at Derimarket. Genuine leather is being actively used in interior decoration. Leather carpets and furniture perfectly fit into any interior, becoming its main highlight. Such products are easy to maintain, they are durable and environmentally safe. Also, leather items have excellent aesthetic qualities, shows an excellent sense of style and high status of their owners. 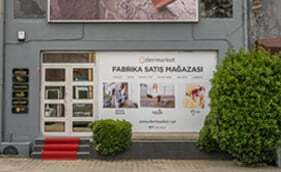 Dozens of genuine leather goods for house decoration from leading Turkish brand Erdogan Deri are waiting for you at Derimarket. All products of this brand are made of premium-class genuine leather and sheepskin according to natural methods of tanning. Selecting Erdogan Deri goods, you can be sure that you get a high-quality product that is completely safe for human’s health. Make your home comfortable, cozy and stylish with the help of Erdogan Deri genuine leather products for house decoration!